HEAT is a functional beverage with 13 active ingredients, of which 8 are vitamins - and a high caffeine content. The drink does not contain any calories or sugar, and is also free of aspartame. 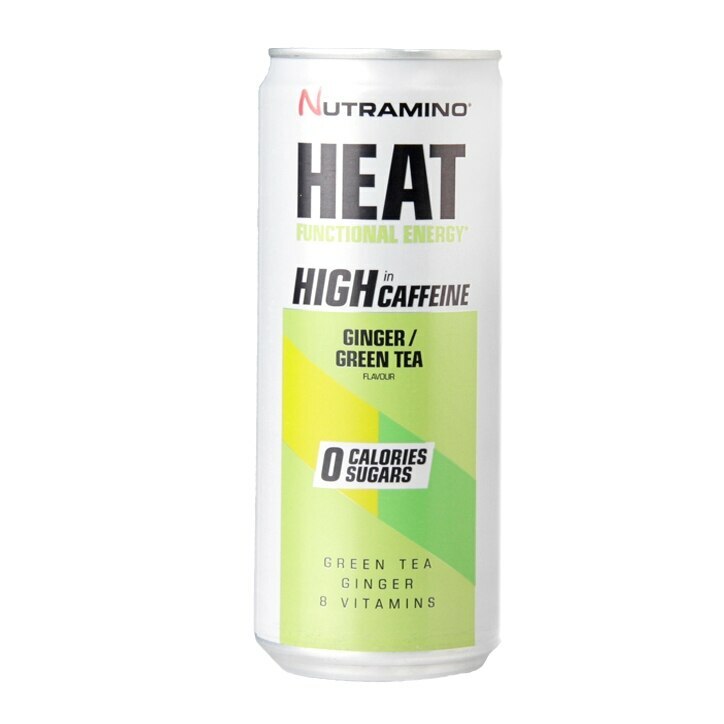 HEAT is based on a unique formula and an effective combination of nutrients such as taurine, vitamins and caffeine, which all booster your energy. The high caffeine content of HEAT will ensure that you maintain your focus while exercising. Water, carbon dioxide, acid: citric acid (E330); taurine, acidity regulator: sodium citrates (E331); glucuronolactone, natural ginger-orange flavouring with other natural flavourings, caffeine, green tea extract (Camellia sinensis, leaf), sweeteners: acesulfame K (E950), sucralose (E955); vitamins: L-ascorbic acid, nicotinamide, DL-alpha-tocopherol, calcium-D-pantothenate, pyridoxine hydrochloride, riboflavine, D-Biotin, cyanocobalamin; colour: ammonia caramel (E150c); ginger extract (Zingiber officinale, bulb). For allergens, including cereals containing gluten see ingredients in bold. May also contain eggs, nuts, peanuts and sulphur dioxide.